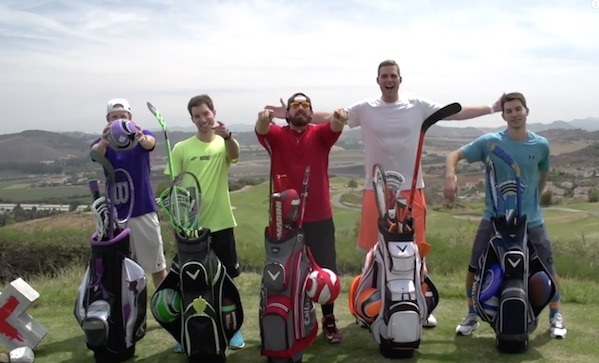 And here, the boys play golf with soccer balls, lacrosse sticks, tennis rackets . . . everything but golf clubs. Incidentally, a round of golf without actual golf is the only way we find golf interesting. Well, that and mini-golf.